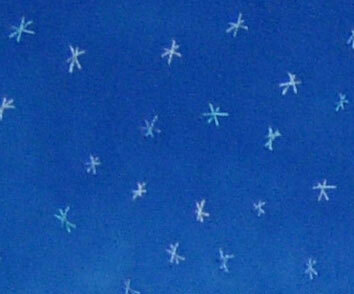 Ermine Stitches look like tiny stars dancing across the sky. 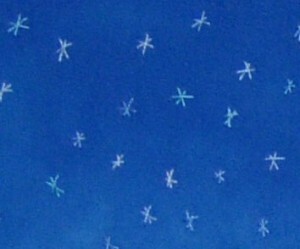 If placed correctly, they could form constellations like my favorite (and only one I can identify in the night sky) the Big Dipper. 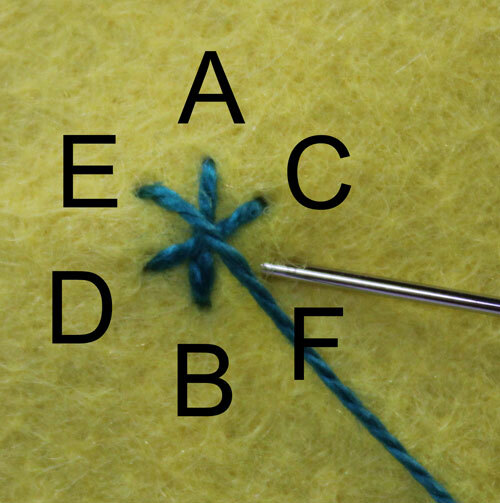 Ermine Stitches are made with two really simple stitches: the Straight Stitch and the Cross Stitch. 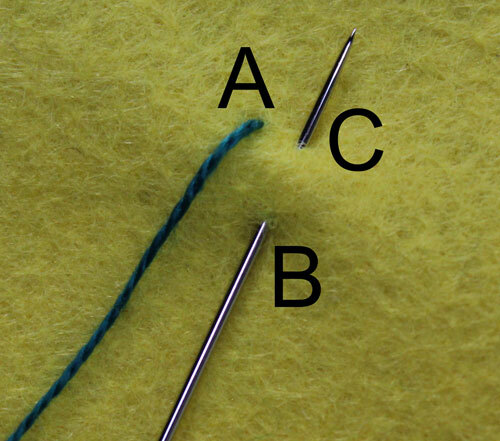 Here’s how to make Ermine Stitches: Come up at point A. Insert the needle tip at B about 1/4’’ down from A. Bring the needle up at C about 1/8’’ down and 1/8’’ to the right of A. Draw the thread through the fabric. 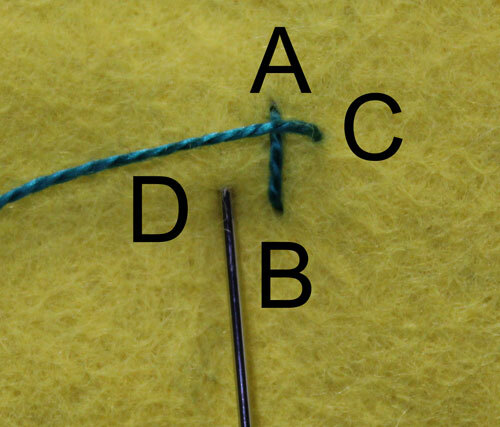 Insert the needle tip at D about 1/8’’ to the left and 1/8’’ up from B. Bring the needle up at E about 1/8’’ above D and 1/8’’ to the left of A. Draw the thread through the fabric. 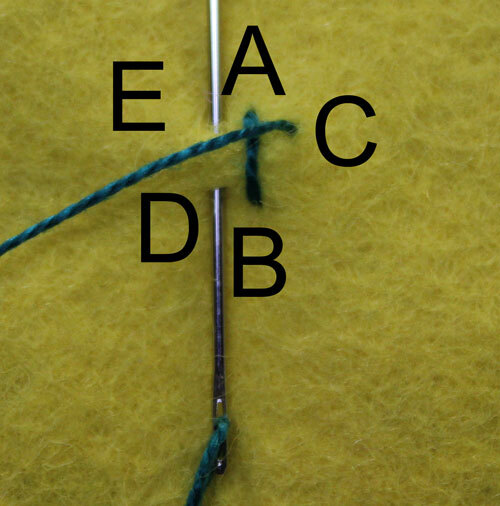 Insert the needle at F directly below C and even with D. Draw the thread through the fabric. 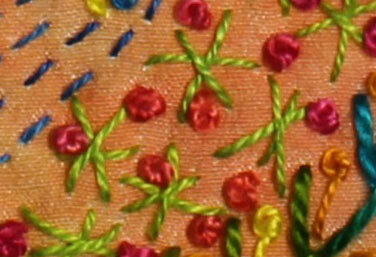 The Ermine Stitch makes a bundle of spiky color on fabric.